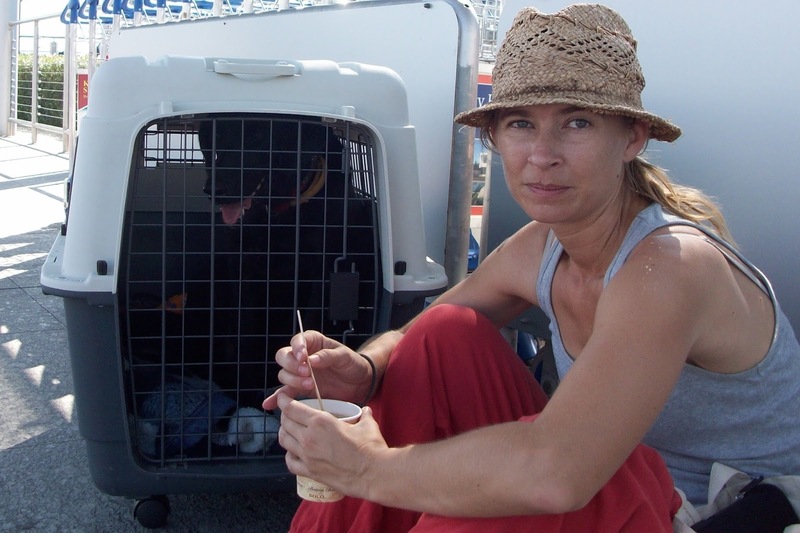 "You are allowed to have pets on board in special baskets with dimensions up 70X40X50cm." I checked, and this means with you on the bus, not underneath with the luggage. There have been horror stories of pets dying from heat and lack of air when traveling in the luggage section of buses in some European countries. Please don't risk this, ever! Sage's carrier is a bit larger than the permitted size - 70x50x90 cm - and I don't know how I would manage to carry that, with Sage inside, onto a bus. I've also been on Cypriot buses without my dog, and they can get pretty crowded. I suppose if you board the bus at the first stop, and disembark at the final stop, so you can take your time, this might be manageable. I would recommend this option if you have a small dog that you can carry, but not really for anything above 15-20 kilos (or however much you can comfortably carry). Unfortunately, this information is not available on the Cyprus by bus website. I did receive an official answer to my query however, so do protest if you are refused entry by individual bus drivers.